It’s Lent: a time for purification and enlightenment, according to the Rite of Christian Initiation of Adults. Most of us grew up thinking of Lent in terms of what we were going to “give up.” Speaking only for myself, I sometimes wish I could give up following what passes these days for American political “discourse.” But as Pope Francis said recently, quoting Aristotle, a human being is by nature a “political animal.” We cannot and should not avoid the political process; in fact, we have a moral obligation to participate to the best of our abilities! As Catholics, then, how might we participate in ways consistent with Christian discipleship? For those of us who also serve as Catholic clergy, what are our own obligations and limitations with regard to political life? There is only one redeeming thing about this whole election. It will be over at sundown, and let everybody pray that it’s not a tie, for we couldn’t go through with this thing again. America has the best politicians money can buy. A president just can’t make much showing against congress. They lay awake nights, thinking up things to be against the president on. There’s no trick to being a humorist when you have the entire government working for you. Politics is a great character builder. You have to take a referendum to see what your convictions are for that day. What has happened to politics, from my perspective, is candidates in campaigns no longer run on merit, their qualifications or their ability to lead, but run on the weaknesses of the other person. The name-calling and insulting comments that candidates exchange, in my mind, create an evil spirit among us. Family Life: This principle obviously includes marriage, and “a candidate must be willing to do all he or she can to help a person form a family that gives respect to family and children.” This principle also involves wages, since one’s income affects how one can support a family with respect. Social Justice: Here the concerns listed by the Archbishop include: welfare policy, religious freedom, Social Security, affordable health care, and sharing housing and the resources of the earth with the poor. He also includes the reform of the criminal justice system, and the issue of immigration (“welcoming the stranger). Not only must the immigrant be treated with dignity, the Archbishop correctly observes that “the Catholic Church teaches that people, under certain circumstances, have a right to leave their country and find a new life.” Other social justice issues involve respect for the environment and using the environment in a way that promotes respect for humanity. Global Solidarity: Finally, the Archbishop asks, “what is the candidate willing to do to foster solidarity, for the elimination of global poverty, for religious liberty and human rights? We must ask how the person will work with the United Nations and international bodies. We have to decide which of them would best move our country forward in a way that reflects those qualities. We as Catholics must have our voice heard: We are tired of the lack of civility that exists in campaigns and we are calling for change. Hence it is evident that the state is a creation of nature, and that man is by nature a political animal. And he who by nature and not by mere accident is without a state, is either above humanity, or below it. . . . he may be compared to a bird which flies alone. Now the reason why man is more of a political animal than bees or any other gregarious animals is evident. Nature, as we often say, makes nothing in vain, and man is the only animal whom she has endowed with the gift of speech. And. . . the power of speech is intended to set forth the expedient and inexpedient, and likewise the just and the unjust. And it is a characteristic of man that he alone has any sense of good and evil, of just and unjust, and the association of living beings who have this sense makes a family and a state. As difficult as it can be, therefore, we have a moral obligation to participate in the political process. We cannot say that we are “above” it or that we are presented with no other moral option than to withdraw. The greater good — the common good — demands that we do the best we can on behalf of others as well as ourselves, as expressed in the greatest Commandment given by Christ: to love God and to love others as we love ourselves. A word about clergy and politics. I have written about this previously, but I want to recap three points here. Clergy and Social Media: Clergy of all faiths are prominent in their use of social media and are blogging, tweeting, writing, speaking and teaching at every conceivable level, and even venues formerly considered more informal, such as Facebook. It is important to reflect on our own participation in such exchanges in light of our responsibilities as clergy. It is often not what we say, or don’t say, from the pulpit that can influence others, but our casual “status update” on Facebook, a blog entry or even a tweet can have far-reaching effects. Catholic Clergy and Canon Law: Canon 285 directs that “clerics are to refrain completely from all those things which are unbecoming to their state, according to the prescripts of particular law.” The canon continues in §3: “Clerics are forbidden to assume public offices which entail a participation in the exercise of civil power,” and §4 forbids clerics from “secular offices which entail an obligation of rendering accounts. . . .” Canon 287, §1 reminds all clerics that “most especially, [they] are always to foster the peace and harmony based on justice which are to be observed among people,” and §2 directs that “they are not to have an active part in political parties and in governing labor unions unless, in the judgment of competent ecclesiastical authority, the protection of the rights of the Church or the promotion of the common good requires it.” However, c. 288 specifically relieves permanent deacons (transitional deacons would still bound) of a number of the prior canons, including cc. 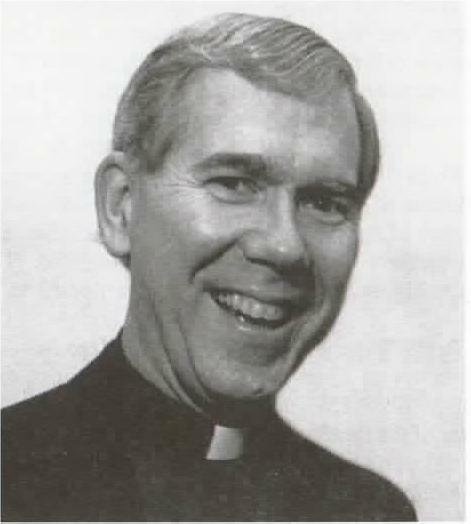 285 §§3 and 4, and 287 §2, “unless particular law establishes otherwise.” Particular law in this instance is provided by the National Directory on the Formation, Ministry and Life of Permanent Deacons in the United States, which states at #91: “A permanent deacon may not present his name for election to any public office or in any other general election, or accept a nomination or an appointment to public office, without the prior written permission of the diocesan bishop. 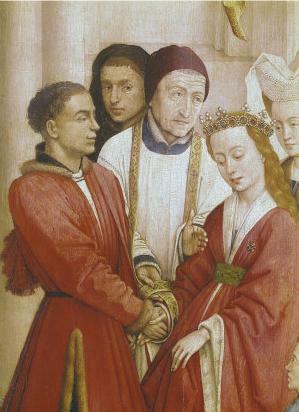 A permanent deacon may not actively and publicly participate in another’s political campaign without the prior written permission of the diocesan bishop.” While we are each entitled to form our own political decisions for ourselves, we must always be aware of the political lines we must not cross. Much more about this can be said and I will review all of this in more detail in a later posting. Unique Political Position for Catholic [Permanent] Deacons: As we just saw, permanent deacons may participate in political life to a degree not permitted other clerics (including transitional deacons) under the law. However, permanent deacons are required by particular law in the United States to obtain the prior written permission of their diocesan bishop to do so. I find that two other aspects of this matter are too often overlooked. First, is the requirement under the law that all clerics (and, significantly, permanent deacons are not relieved of this obligation) are bound by c. 287 always “to foster peace and harmony based on justice.” This is such a critical point for reflection for all clerics: How do my actions, words, and insinuations foster such peace and harmony, or are my actions serving to sow discord and disharmony? Second is the whole area of participation in political campaigns. Deacons may only participate in their own or someone else’s political campaign with the prior written permission of their bishop. Today, when political support is often reflected through the social media, all of us might well reflect on how our opinions stated via these media constitute active participation in someone’s political campaign. First of all, the church’s responsibility is to do what I am doing – speaking out and saying this is not what we want politics to be. It’s not of God. Where is our negativity bringing us? The second thing we should look at – helping people form their consciences so when they go to the voting machine, they know the basic qualities they are looking for in a candidate. So, for Lent this year, let’s give up the vitriol, the name-calling, the demonizing of those who disagree with us. In fact, let’s go the other direction and increase and deepen our involvement in the political process as our state of life demands. In this season of purification and enlightenment, we must keep both of these elements in mind: to purify ourselves of that which demeans humanity and God’s creation, and to seek out and be enlightened by God so as to build up rather than to tear down. What shall we make of all this? 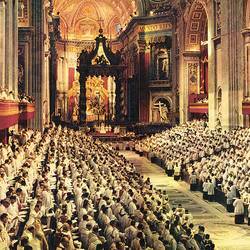 As the members of the Extraordinary Synod gather in preparation of the opening Mass of the Synod on Sunday, perhaps we can place all of this in some historical and ecclesiological context, using the Second Vatican Council as a guide. 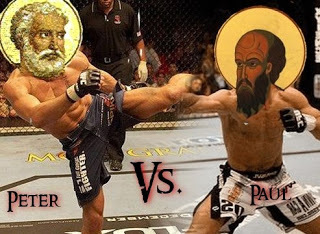 1) Kasper vs. Burke: “Cardinals shouldn’t fight in public; it’s just wrong!” Well, prior to — and during — Vatican II, cardinals and other bishops often engaged in public debates, wrote letters, published opinion pieces and so on. It was all part of the process, and this is no different. Ever since St. Paul and St. Peter got into it over the question of who could become Christian, bishops have disagreed, sometimes publicly and loudly, to anyone who would listen. Consider it part of the necessary public discourse for such important issues. But I also invite people to avoid polarization! When two people argue, one could be right and the other wrong, both could be right, or both could be wrong! These issues, like life itself, are complex and demand rigorous, comprehensive argument, but no one is helped by a “white hat, black hat” mentality. The substance of the ancient doctrine of the deposit of faith is one thing, and the way in which it is presented is another. And it is the latter that must be taken into great consideration with patience if necessary, everything being measured in the forms and proportions of a magisterium which is predominantly pastoral in character. This seems to me to be precisely what Pope Francis is asking for, and what Cardinal Kasper is attempting to do: he is not questioning “the ancient doctrine of the deposit of faith,” but rather “the way in which it is presented.” Furthermore, the framework for both content and method must be “predominantly pastoral” in character. 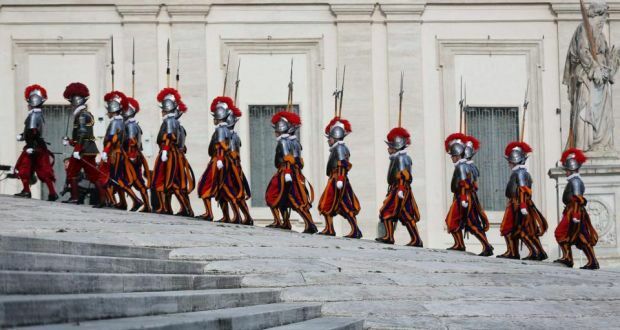 The pope included all of this in his opening address precisely because there had been such vehement debate on these points during the antepreparatory and preparatory phases leading up to the Council itself. Fifty-two years ago this month, St. John was concerned that the bishops of the world be clear on what he was asking for, and what he perceived the Church and the world needed most. 3) Keep the relationship of theology and law in proper perspective. This is very important, especially in the current debates. Theology precedes law; law is not a source for theology. Law develops out of the theology which comes first. It is because we believe certain things about God and ourselves that we then develop laws which reflect those prior realities. Looked at another way, we don’t start with the law and then develop a theology — or at least we shouldn’t! Why do I bring this up? Because in some of the recent breathless exchanges on the issues surrounding the Synod, there have been appeals to what the law has to say, while the “other side” has been speaking theologically. Yes, theology and law intersect, certainly! But the law serves theology, not the other way around. Consider a debate between a medical doctor and a lawyer over the nature of a particular disease. The doctor is going to look at the disease from within her own framework of science: causes, methods of transmission, treatments. The lawyer is going to look at the same disease from with his own framework of the law: actions, responsibilities, jurisprudential history. Same disease, different ways of addressing it. 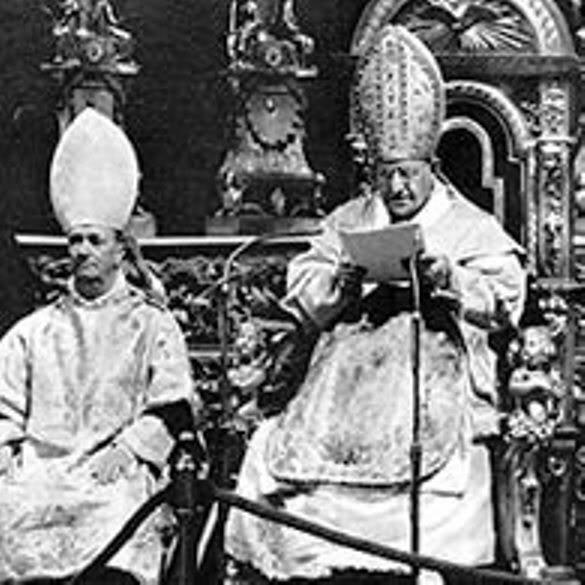 During Vatican II, especially during the often fiery first session, the Prefect of the Holy Office (now known as the Congregation for the Doctrine of the Faith) was not a theologian at all. 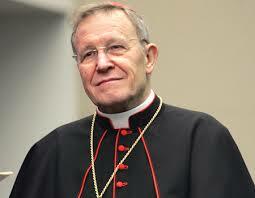 The Prefect was a respected canon lawyer, Cardinal Alfredo Ottaviani. 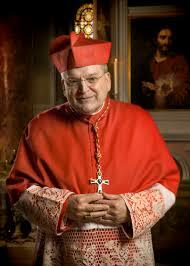 Think about that: a canonist responsible for guarding the church’s doctrinal office. This led to some fiery exchanges during the First Session of the Council, as many of the world’s bishops took to the microphone to complain publicly about the way Cardinal Ottaviani and his curial staff was dealing with theologians around the world. It led the aged Cardinal to respond passionately in defense; he refused to stand down at the end of his allotted time and eventually one of the Cardinal-Moderators simply unplugged his microphone. 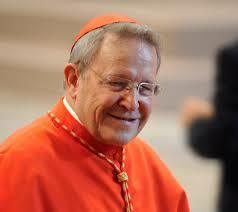 Cardinal Ottaviani left the Council and did not return for a couple of weeks in protest. But consider this. As I wrote above, we need to avoid a “white hat, black hat” approach to these arguments. 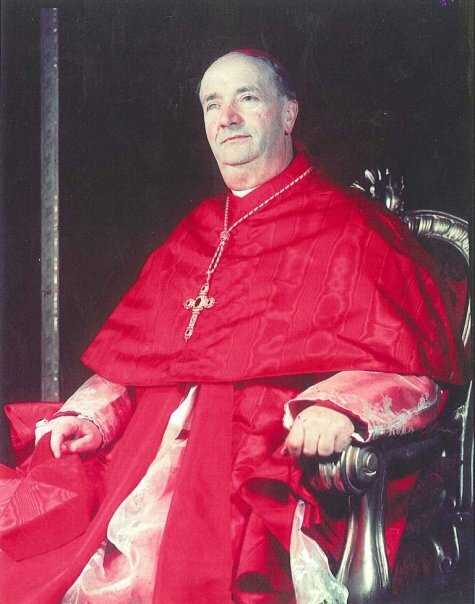 During Vatican II’s debate on war and peace in 1964 and 1965, there was no stronger opponent of ALL warfare than Cardinal Ottaviani. To read his interventions on the subject, you could easily hear the voice of any number of folks “on the left” who were arguing to outlaw all war. On this issue at least, the canonical lion was more “liberal” than almost everyone in the “progressive” group of bishops. Just like everyone else, bishops are complex human beings who defy easy characterization. As I also said above, public debates between bishops is no new thing. But it is also important, when assessing an argument, to discern the frame of reference being used by the respective participants. 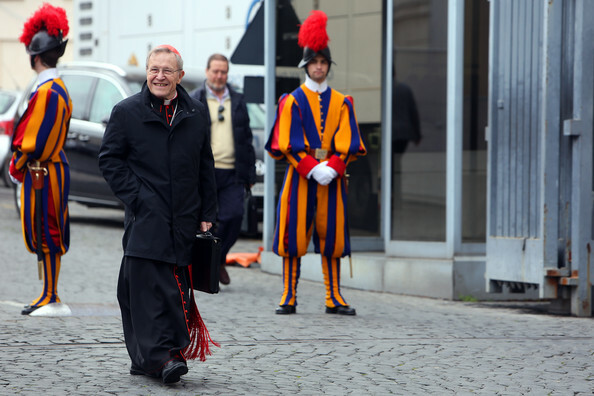 Theologians such as Cardinal Kasper are speaking and evaluating things theologically; canonists such as Cardinal Burke are doing the same, but canonically. This all goes back to St. John XXIII’s point, to paraphrase: Certain points of theology cannot change, perhaps; but the way they get enshrined in practice and in law can and sometimes must change. 4) Since we’re looking at the Council, what did those bishops have to say about the current question? You can rest assured that whatever documentation emerges from the Synod, there will be multiple references to the Pastoral Constitution on the Church in the Modern World (Gaudium et spes), especially paragraphs 47 to 52, which focus on the nobility of the family. Read the whole document here. 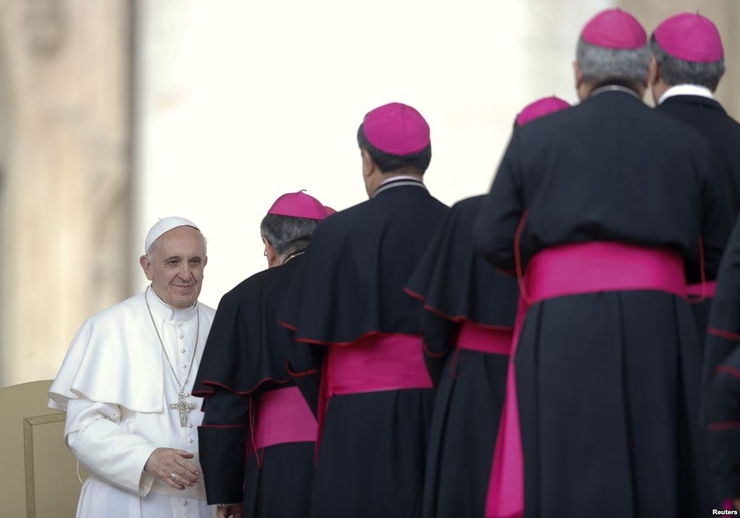 Many of the challenges identified in the preparatory work for the Synod were already realities identified by those bishops five decades ago: these are not new challenges. In many ways, the work of these two synods (this year’s and next’s) can be understood as an extension or a continuation of the Council’s work. 5) Keep your expectations reasonable, and follow closely; this is going to be fun! 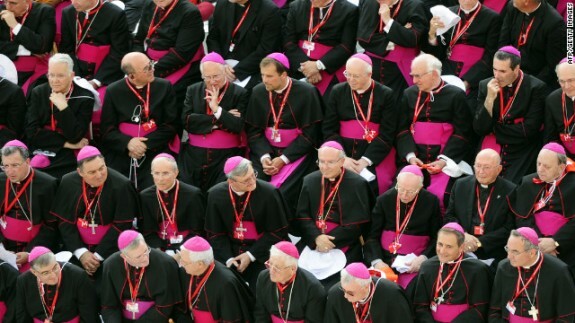 On the one hand we should not expect too much from this year’s Extraordinary Synod. Its purpose is to prepare for NEXT year’s ORDINARY Synod. The debates this year will help refine the questions and procedures to be dealt with more formally next year. Synods like this do not hold the magisterial weight of a General Council (such as Nicaea, Trent, Vatican I or Vatican II), but they will certainly lead to significant developments nonetheless. I would expect that no papal document will result from this first, Extraordinary Synod. 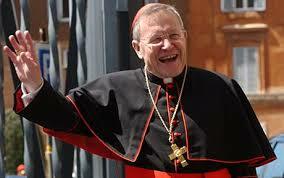 Following the Ordinary Synod next year, however, there should be an Apostolic Exhortation from the Holy Father. I would also hope that, following this Extraordinary Synod, there might be another opportunity for listening sessions around the world in which experiences and opinions are sought from a wide variety of people. And, hopefully, sufficient time will be given for the process, unlike last year in which tight deadlines prevented many people from responding to the questionnaire set out from the Synod office. Again, our model can be Vatican II. In between the Council’s sessions, bishops went home and consulted with many of their own experts on matters they would be discussing in the following session. It was a graced time of mutual exchange and shared learning and consultation. May this synodal process over the next year or so be fruitful and benefit the common good of all! 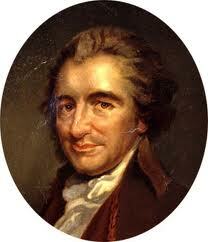 This famous quote, generally attributed to Thomas Paine, but used (and abused!) by many has inspired leaders for a long time. “Leadership” and its exercise, especially in the Church, is something that concerns us all in one way or another. Some years ago, I reflected on ecclesial leadership while working on my doctoral dissertation, which dealt with the theological and canonical issues related to governance and deacons. Although my degree is in Theology, not Canon Law, there was no way to address this issue without consulting extensively with canonists, and, in particular, the late and great American canonist, Fr. James H. Provost. Jim became a good friend before his death, and his loss is still being felt by all who knew him. I recently came across some notes I made from an article Jim wrote entitled,“Canonical Reflection on Selected Issues in Diocesan Governance” (in The Ministry of Governance, James K. Mallett, ed.). I offer the following list, taken and adapted from Jim’s article, as a reflection on traits essential to servant-leadership in the Church today. Jim wrote them specifically for his fellow canon lawyers, but I believe they have relevance for all pastoral ministers. The categories are Jim’s; the brief commentary is mine. 1) Be always vigilant for the spiritual purpose. As we serve the People of God, this vigilance should be at the forefront. Regardless of the issue we are helping people with, what is the ultimate spiritual purpose behind it? Without this focus, ministry might become little more than social work. Obviously, this is not to suggest that social work is a bad thing! For the minister, however, we go beyond that task. As canon law itself reminds us, “The salvation of souls is the highest law” (salus animarum suprema lex). Keeping this principle in mind will help us keep our priorities straight. 2) Think with the Church. 3) Serve if you would lead. Anyone who has ever led others quickly realizes the profound truth that “a good leader is first a good follower.” However, it is equally true that the best leadership style is a servant-leadership, one that cares for the people serving with the leader. This is true, no matter what the venue. After leaving the seminary after eight years, I joined the Navy and wound up serving on active duty for twenty-two years, first as an enlisted linguist, and then — for the bulk of my career — as an officer. I served for many leaders, and had the privilege of serving in leadership as well: and the BEST leaders were always servant leaders. Such a leader was always concerned first with the needs of those he or she is leading so that they are then free to carry out the mission, whatever that happens to be. If this is true even in ways of life outside the Church, how much more profoundly is it true of those who serve in leadership in the Church. 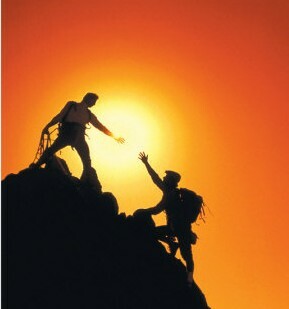 Servant leaders put others first, dream dreams, have visions, and inspire others to greatness in the eyes of God. 4) Use the power you have. Power is not a bad word, despite the negative connotations often associated with it. Power is the first of the divine attributes, and power is imparted to us through the sacraments. Power is the ability to act, to serve, to provide care: all of this is good. Often people, even those who serve in ministry, will bemoan the apparent fact that they “don’t have the power to change” something. 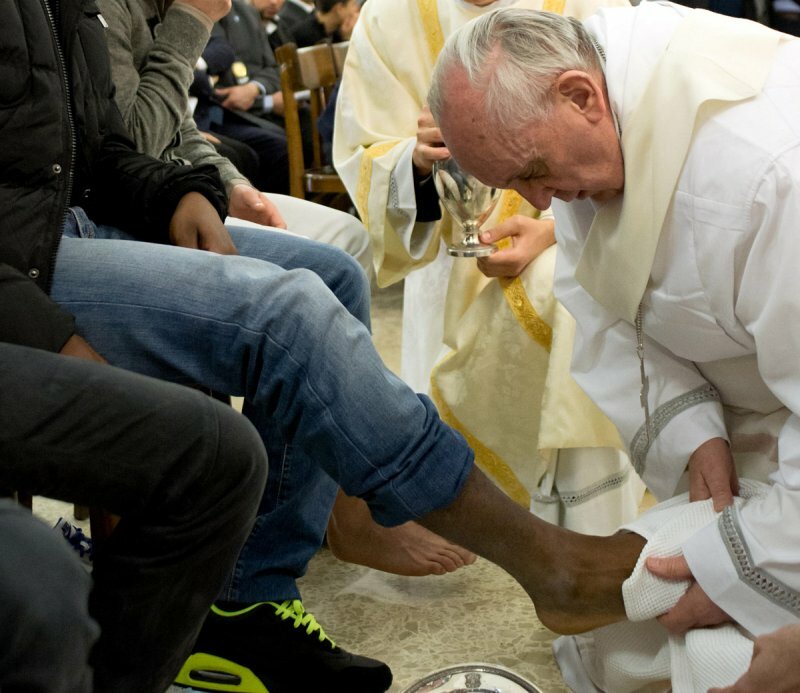 Still, all of us, through the grace of sacramental initiation and, for some, ordination, have a measure of “power” which must be used in service of others. Instead of worrying about what we cannot do, we need to focus on what we can do! Speaking of power, it is meant to be shared. When Christ heals Peter’s mother-in-law, she immediately gets up to serve. That’s a good lesson for us in ministry: We are called not only to help others, we are called to help them UP. We are to give them the power they need to serve others and continue that mission. Power is meant to be used and shared. 6) Promote and protect rights. The theology of the Church, as expressed through the law of the Church, focuses not only the responsibilities we have under the law, but on the rights we have: rights that come from God, and rights that are extended through the ministry and authority of the Church. Jim’s advice here, to focus on rights, puts the correct emphasis on ministries. The responsibilities we have flow from those rights: the responsibility for parents to be the prime educators of their children in faith, for example, flows first from their RIGHT to do so! In other words, we are encouraged not only to react to our responsibilities but to act first out of our rights; to be ACTIVE, not merely REACTIVE. 7) Consult when making decisions. Fr. Provost was reminding canonists that the law often requires prior consultation in decision-making, but his advice is helpful to all of us. The Church, from its earliest days, has valued collegiality, collaboration and consultation. Consider, as just one example, the so-called “Council of Jerusalem” when Paul went up to Jerusalem to meet (confront?) the other leaders of the Church over the issue of Gentile converts. After talking together, those early leaders wrote a letter to the converts which acknowledged their dependence on the Holy Spirit who then informed their decision. Although we often hear from some folks that “the Church is not a democracy,” this is simply too simplistic and ignores the evidence of history, which suggests widespread models of collegiality and consultation, and we ignore that to our peril. 8) Interpret the law as it is meant to be interpreted. This is a tricky one, but critical! For those of us who are not lawyers, it might be tempting to “read the black” and assume we know precisely what it means! Language, however, is symbol, and symbols always “contain” more than appears at first sight. When serving in ministry, do we make the proper attempts to find out how specific laws are to be interpreted? Consider point #1 again: How am I to interpret this law in light of the overall spiritual purpose of the situation? I am not suggesting that we find ways around our laws; merely that they will need to be interpreted as the law itself expects. For that, consultation may be required (see #7)! One principle of the interpretation of Church law involves the very “generosity” of the law. The law exists for the spiritual good of people, and that involves being as generous as possible with the benefits of the Church. For example, do we seek out ways to provide the sacraments to people? We saw this recently when Pope Francis baptized the infants in the Sistine Chapel, including a child of a couple not yet married in the eyes of the Church. The situation of the parents, while of concern to us of course, need not cause us to be stingy with the benefits of baptism for the child as well as her parents. All of us in ministry can think of countless other examples: we need to think with our arms open. Every pastoral situation is unique, as we all know full well. And yet, justice obliges us to be consistent in our interpretation and application of law, while still appreciating the unique demands of each situation. I think the caution here also involves the dangers of parochialism or favoritism for some people, and a narrow interpretation for those we may not know — or like! — as well! This gives us a needed balance of pastoral approach. It also conveys a sense of positive predictability: we are trying to be even-handed with all because all are equal in the sight of God. Is this one ever important! Remember, again, that Jim was writing this to fellow canon lawyers, reminding them that “justice delayed is justice denied.” That applies across the whole spectrum of pastoral ministry. Are we as responsive as we should be to the questions, requests, concerns that come our way, or do we procrastinate or even ignore certain things? The people we serve have a right to a timely response, whatever their need is. How do we feel when it seems someone is ignoring or discounting us and our concerns? Many of us struggle with this one. As ministers, we don’t want to hurt others. Sometimes, however, we are the bearers of bad news or difficult decisions. Jim’s reminder is that, despite the difficulties which we may encounter in doing so, we need to be honest and direct with those we serve. This does not mean that we are insensitive or nasty about things; it simply means that we all have to be honest with each other. I, for one, continue to struggle with these principles. Still, they are a good “checklist” for servant-leadership, and can serve as a fine reflective tool when we’re on retreat, for example! Perhaps it is better to say that they can form part of a ministerial examination of conscience as we grow in service to others. There are times when each and every one of us is asked to “lead.” At other times we are all called to “follow”, and still other times when we just need to “get out of the way”!